This fact sheet is intended to provide Navigators, Assisters and Certified Application Counselors with information about veterans and their eligibility for healthcare through the Department of Veterans Affairs. Q1. I receive my healthcare through the Department of Veterans Affairs (VA). Does this coverage satisfy the requirement for me to have health insurance? A. Veterans who are enrolled in the VA’s healthcare system meet the health insurance requirements of the Affordable Care Act (ACA). No further action is required on your part. Also, the types of services provided by and benefits available through VA’s healthcare system were not changed by the ACA. Q2. I am a veteran but don’t receive healthcare through VA. How do I know if I am eligible to receive healthcare through VA? A. Many veterans who are eligible to enroll in VA’s healthcare system do not take advantage of that benefit. In general, any individual who served in the military and was discharged or released under any conditions other than dishonorable and who meets minimum active duty requirements meets the basic eligibility requirements for VA healthcare. Current and former members of the Reserves and National Guard may also be eligible for VA healthcare if they were activated on a federal order (does not include activation solely for training). To meet minimum active duty requirements, veterans who enlisted after September 7, 1980, or went on active duty after October 16, 1981, must have served 24 months on active duty or the full period for which they were called to active duty status. It is important to know, however, that not all veterans who meet these eligibility requirements will be able to receive VA healthcare services. VA uses a system of priority groups for veterans seeking enrollment in VA healthcare. There are currently eight priority groups. Veterans with disabilities related to their military service, veterans who are low-income, and veterans who served during certain eras are some of the veterans who are eligible for assignment to a priority group. Veterans who VA has rated 50 percent or more service connected or Veterans in receipt of Total Disability based on Individual Unemployability are placed in Priority Group 1. Veterans who receive VA pension benefits (benefits for wartime veterans who are age 65 or older and low-income, or if under 65, are permanently and totally disabled) are enrolled into Priority Group 5. Veterans in Priority Group 1 and those who receive VA pension benefits are eligible to receive all of their healthcare services, including long-term care, through VA without any co-pays. Veterans who have a disability that is not service connected may be eligible for assignment to a priority group based on the severity of their disability. For example, veterans who acquired a catastrophic disability post discharge, such as a spinal cord injury, are eligible for enrollment in Priority Group 4. These veterans are exempted from co-pays for inpatient and outpatient healthcare and medications. They are also exempt from co-pays for non-institutional long-term health care. Other veterans are eligible for enrollment in a priority group based on when and where they served. Veterans who served in the Republic of Vietnam between January 9, 1962, and May 7, 1975, are eligible for enrollment in VA Priority Group 6. Veterans of the Persian Gulf War that served in the theater of combat operations between August 2, 1990 and November 11, 1998 are eligible for enrollment in VA Priority Group 6. Also, combat Veterans who were discharged on or after January 28, 2003, are also eligible for enrollment in Priority Group 6 for five years after their discharge or release. Other veterans may be eligible for enrollment in a VA priority group based on their income. Priority Group 7 is for veterans who have incomes below certain income thresholds. VA Priority Group 8 is for veterans who have incomes above the current income thresholds and who don’t otherwise qualify for enrollment in a higher priority group. Veterans who have incomes no greater than 10 percent of current income thresholds may currently enroll as a member of Priority Group 8. Veterans with higher incomes are not eligible for enrollment at this time. Many veterans who are enrolled in VA healthcare also have coverage through other healthcare programs and plans such as TRICARE (Department of Defense), Medicare, Medicaid, or private health insurance. To explore your eligibility for VA healthcare, you should use VA’s online health benefits explorer. Q3. How do I apply for enrollment in VA’s healthcare system? A. Veterans can enroll in VA’s healthcare system online, by phone, by mail, or in person. The form veterans must complete for enrollment is VA Form 10-10EZ, Application for Health Benefits. To apply online, visit: https://www.1010ez.med.va.gov/. To apply in person, go to your local VA health care facility and complete VA Form 10-10EZ. To apply by phone, call 1-877-222-8387. A completed form will be mailed to you for your signature. Once completed, it must be mailed to Health Eligibility Center; 2957 Clairmont Road, Suite 200; Atlanta, GA 30329-1647. To apply by mail, pick up the form in person or download it. Once completed and signed, mail it to the Health Eligibility Center. If your request to enroll in VA’s healthcare system is denied, you can appeal the decision within one year of the date of the initial decision. In order to do so, a Notice of Disagreement letter must be sent to the VA Medical Center where the decision was made. Veterans who have been rated by VA to have a service-connected disability of 50 or more percent, veterans who want care for only a service-connected disability, and veterans who are within 12 months of discharge and who want care for a disability determined by the military to be related to military service do not have to enroll in VA’s healthcare system to receive care. Note: There are 11 exemptions listed here. Q4. Can I enroll in VA healthcare at any time? A. Veterans who believe that they are eligible to enroll in VA’s healthcare system may request enrollment at any time. Q5. What types of healthcare services are available through VA? A. VA provides the full range of healthcare services to eligible veterans, including long-term care. VA health care services are available in medical centers and community clinics located across the country. When not able to provide the services needed, VA also pays for veterans to receive covered services at non-VA facilities. Q6. What do I have to pay out of pocket for VA healthcare? A. There is neither a fee to enroll in VA healthcare nor a requirement to pay any type of annual premium. Also, healthcare services related to a veteran’s service-connected disability are provided free of charge. Veterans who are rated by VA at 50 percent or greater for their service-connected disabilities pay no copays for any inpatient care, outpatient care, outpatient medication, or long-term care services needed, regardless of whether related to a service-connected disability or not. Other veterans such as those who have access to VA healthcare because they are low-income but who do not have a service-connected disability may be required to pay co-pays. According to VA, veterans who were required to pay co-pays for healthcare visits, medication, and/or long-term care paid on average a total of $322 in 2013. For more information, please see VA’s 2014 Copayment Requirements at a Glance. Q7. Is my family covered if I am eligible for VA healthcare? A. In general, VA healthcare services are only available to veterans. The dependents of a veteran who has a service-connected disability and has been rated by VA as permanently and totally disabled are eligible for healthcare coverage through the Civilian Health and Medical Program of the Department of Veterans Affairs (CHAMPVA). CHAMPVA provides coverage for healthcare services for family members of veterans in their communities similarly to Medicare or private insurance. CHAMPVA coverage satisfies the insurance requirements of the ACA. Dependents eligible for TRICARE are not eligible for CHAMPVA. CHAMPVA is also available for the widow, widower, and dependent children of a veteran who died on active duty, died due to a service-connected disability, or was rated by VA to be permanent and totally disabled at the time of death. Family members not eligible for coverage under CHAMPVA, TRICARE, Medicare, Medicaid, or other health programs may need to seek coverage through the Health Insurance Marketplace. Q8. 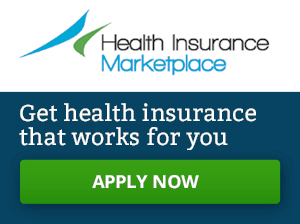 If I am otherwise eligible for VA healthcare, am I eligible for ACA marketplace health insurance and ACA health insurance subsidies? A. Veterans who are enrolled in the VA’s healthcare system are still eligible for ACA marketplace health insurance. However, they are not eligible for ACA health insurance subsidies. Veterans can cancel their enrollment in VA’s healthcare system, but would not be guaranteed re-enrollment. The veteran would have to meet current requirements for priority group assignment.